Arinola Adegbite, SLAMbassadors 2017 champion. Photo credit: Cesare de Giglio for The Poetry Society. 2018 has already been a BIG year for our SLAMbassadors family. Kayo Chingonyi won the Dylan Thomas Prize, Jay Bernard won the Ted Hughes Award, Anthony Anaxagorou was on the judging panel for the CLIPPA which created a whole separate prize to celebrate Rising Stars – an anthology featuring SLAMbassadors Jay Hulme, Ruth Awalola and Abigail Cook, Emmeline Armitage & Honey Birch put out a single, Hussain Manawer, who was signed to Virgin EMI in 2017, has been on a high profile tour… the list goes on. Are you 13 – 18 years old? 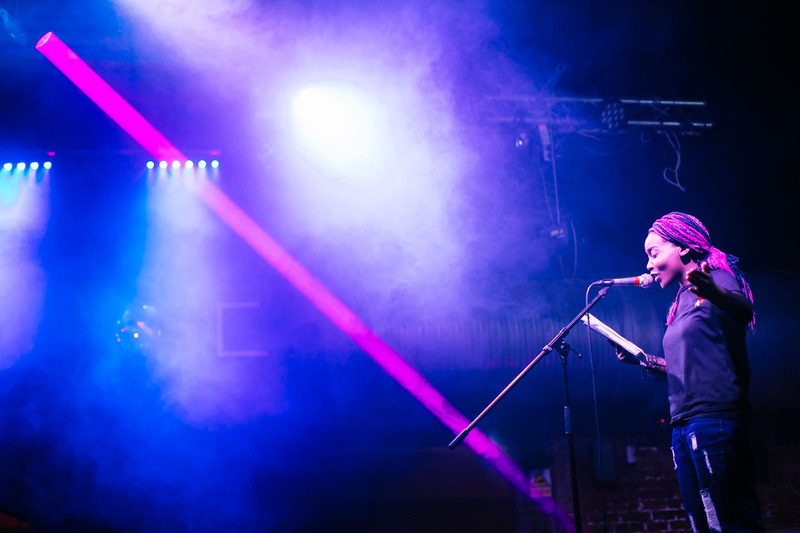 Apply to take part in a free SLAMbassadors masterclass with Joelle Taylor on 17th & 18th November 2018 at The Poetry Society in London. The workshops will be suitable for people who have already written or performed a little bit and are now looking for some expert guidance. Over the weekend you will collaborate to create a set to perform at this year’s showcase event. Now open to all young poets, spoken word artists, MCs, rappers and performers who work with words. This year the SLAMbassadors showcase will feature the best new performers aged 13 – 25 across the UK. If you, your collective, school or group would like to perform at this event on 18th November 2018 you can apply for a slot using the form below. Deadline for all applications is 31st August 2018. Please email slam@poetrysociety.org.uk or call 0207 420 9880 if you have any questions. *Your diversity data will be stored separately from your application and only used for improving equal opportunities within the planning of future projects.